← We’re three weeks old! We got some amazing news today; Miss Ella’s ultrasound showed a small drop in size in her ventricles and her head did not grow bigger the last couple of days. We’re not out of the woods, but it is great news. I was relieved, releasing the breath that I’ve been carrying since they told us something was wrong. Then, on my way for my lunch break, I heard a nurse discussing with her supervisor how a full term baby had been born stillborn. My heart ached for that family. I can’t imagine the pain they are facing, except, we almost did. Three days after the girls were born, after just finishing dinner with Buds after coming from the hospital, we got a call telling us to come back in because Ella was in trouble. Single scariest moment of my life, thinking we might lose our baby girl. But, we didn’t and I get to cuddle her every day, when other families are going through unimaginable hell. We are far from the finish line, relying on our girls to prove just how strong they are, but even with Ella’s uncertain future, we are so lucky. 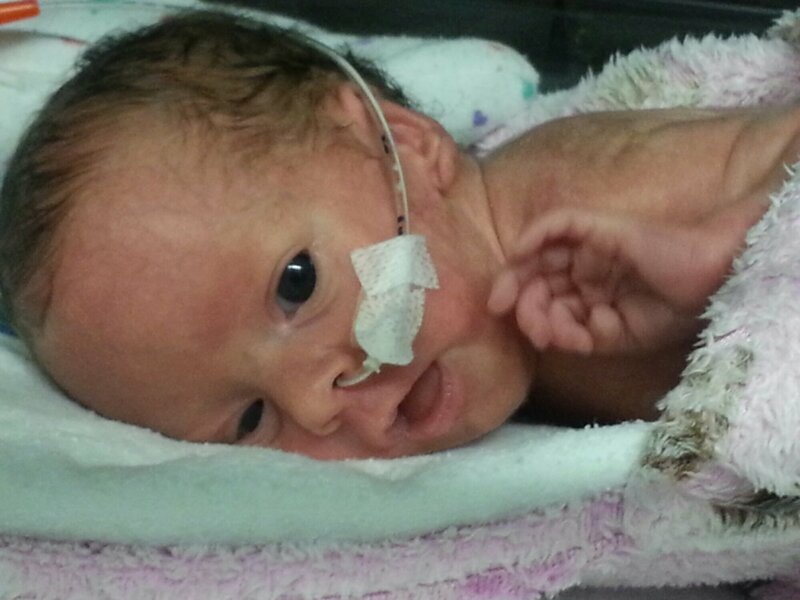 This entry was posted in Baby love, Life in an incubator and tagged health, NICU, preemies. Bookmark the permalink.